Once you get pregnant, you’re not just eating for yourself anymore. 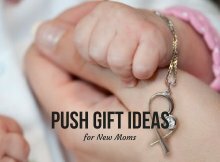 You need vitamins, minerals, and nutrients to support the growth of a new human being! Consuming enough healthy foods can be difficult for a pregnant woman, especially if you’re experiencing severe morning sickness. 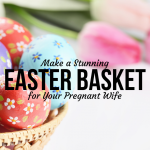 Most pregnant women take supplements, but they cannot replace fresh fruits and vegetables. An easy way to keep you and baby healthy is juicing. 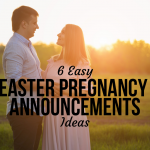 Below are the best pregnancy juices as well as how they help meet your body’s needs during each pregnancy trimester, which comes with its own needs and challenges. 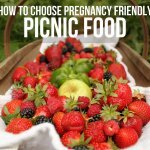 RECOMMENDED: What are the best fruits to eat during pregnancy? Find out here. 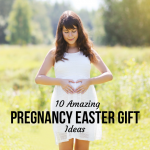 The first pregnancy trimester is marked by fatigue, nausea and vomiting, and lack of energy. It is vital that pregnant women consume folate to prevent birth defects, along with calcium and vitamins C, A, and E.
The second pregnancy trimester is often the easiest, but it can be accompanied by heartburn. Consuming iron-rich foods as well as lots of calcium help with that and the embryo’s development. If you develop gestational diabetes during this trimester, cut down on your sugar and carbohydrate intake. 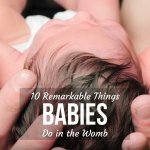 The third pregnancy trimester is a time to help the baby grow and reduce the risk of complications. Consume iron, calcium, and vitamins D, E, C, and A during this time period. Beetroot juice has tons of health benefits for pregnant women. However, keep your daily consumption between ¼ or ½ a beetroot. If you feel the juice is too strong, mix it with carrot juice and/or water. Experts recommend letting beetroot juice sit for at least 2 hours before drinking. Prevents iron deficiency and anemia. 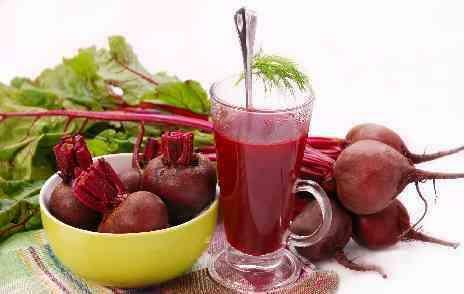 Beetroot juice is one of the best pregnancy juices to help boost iron, which the fetus needs for development. Naturally fights constipation, which is common during pregnancy. 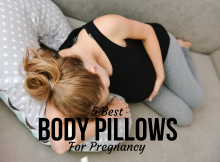 Lowers blood pressure, reducing the risk of premature delivery and other complications during pregnancy. Carrots are rich in beta-carotene, iron, magnesium, B vitamins, potassium, magnesium, and more. Pregnant women shouldn’t consume more than a glass of carrot juice daily. Improves skin. Skin changes are one of the side effects of pregnancy. 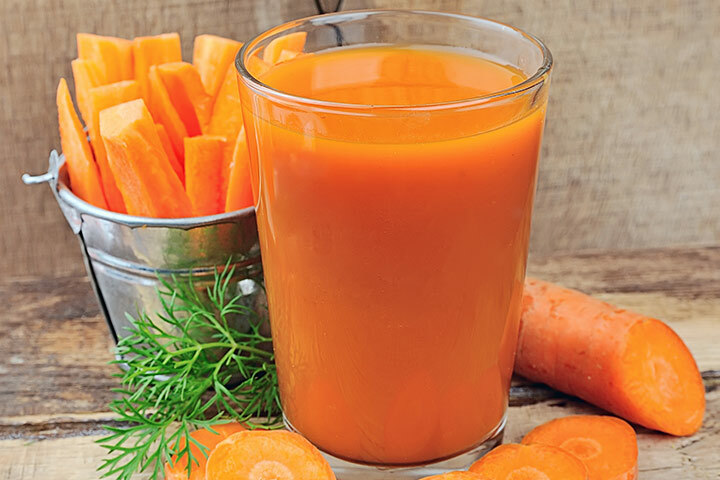 Carrot juice reduces scarring, hydrates the skin, and evens out skin tone. Aids digestion. 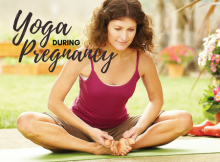 Digestive problems during pregnancy are commonplace and they can get worse during the later stages of pregnancy due to pressure applied to the uterus by the growing baby. Cucumbers are great sources of vitamins A and C, potassium, manganese, and folate. The best cucumbers for juicing are firm to the touch and have a dark color. Regulates blood pressure. Minerals and sodium in cucumbers help regulate blood pressure. Is a diuretic and prevents swelling, which can become a problem during the third pregnancy trimester. Teeth and gum problems. 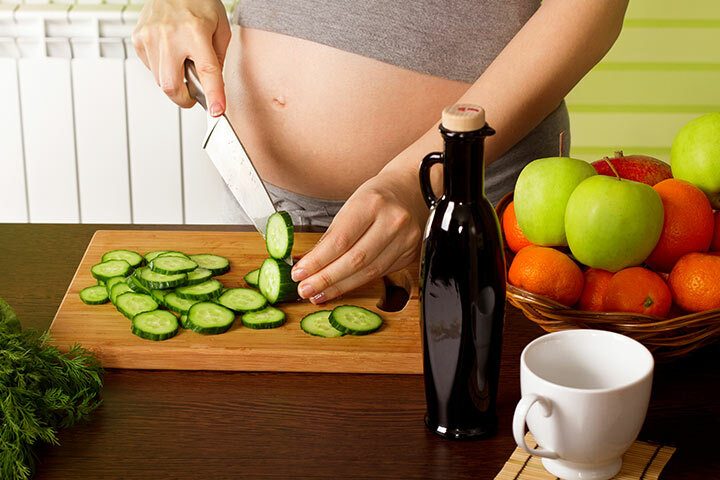 Cucumber juice neutralizes the acids in the mouth, preventing gum and teeth problems that are very common during pregnancy. 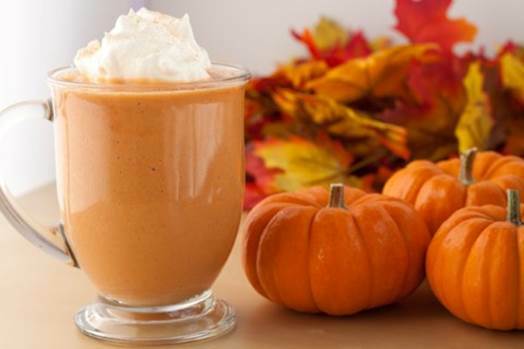 Pumpkin juice is rich in beta-carotene, vitamins A and C, potassium, magnesium, and more. RECOMMENDED: Here’s how you can prevent morning sickness. Orange juice is well-known and very popular for pregnant women, but commercial orange juice does not come close to freshly made juice from organic oranges. Orange juice can cause heartburn so do not consume large amounts. Good source of vitamin C, which protects the immune system and is vital during pregnancy. Drink orange juice with iron-rich fodds to increase absorption of the minerals. Best source of folate, which prevents birth defects and is important during the first trimester. Fruit juices contain lots of fructose which may cause a rise in blood sugar levels. 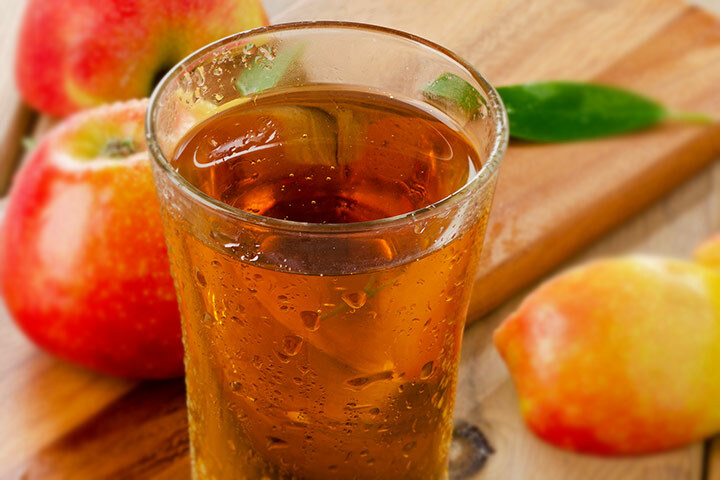 Half a glass of apple juice daily is adequate for most pregnant women. 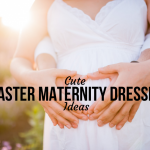 Adding water to fresh juice dilutes it, making it easier for the pregnant body to handle. 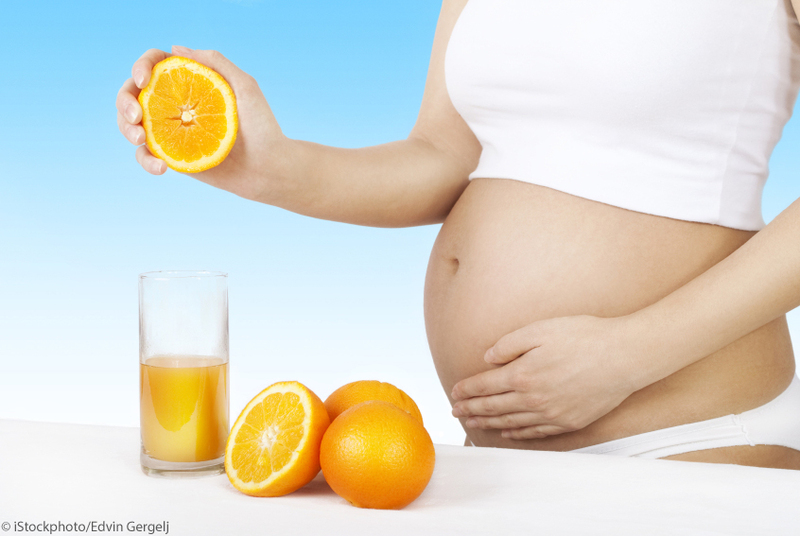 Pregnant women should drink fruit juices on an empty stomach, first thing in the morning. Vegetable juices can be consumed at any time, although it is recommended to drink them 20 minutes before a meal. 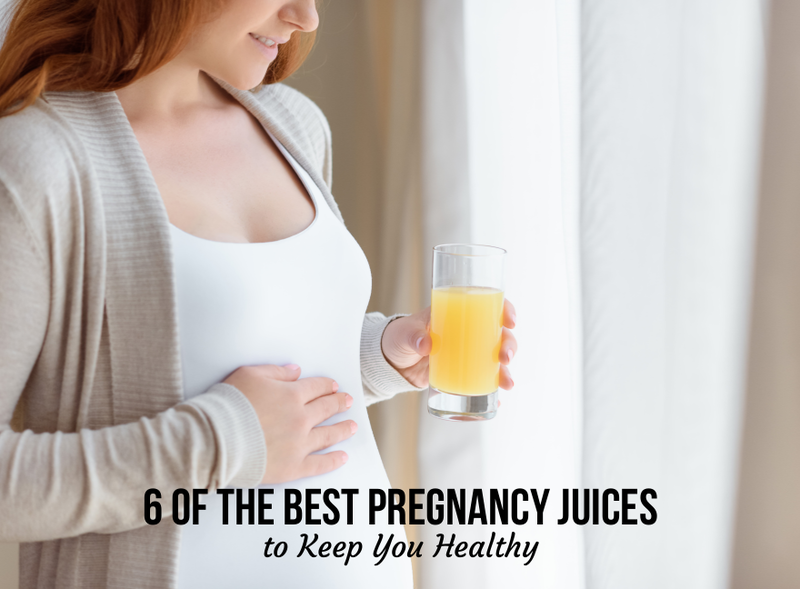 Try drinking one or more of these best pregnancy juices daily. Do not go on a juice fast while pregnant. 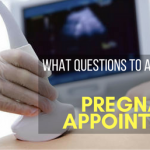 If you have any questions about juices and your pregnancy, be sure to talk to your doctor. Leah was born and raised in Kenya. She has a degree in psychology and divides her time between article writing, blogging and creating original African pieces. She provides her writing services independently and can be found odesk. When she isn’t hunched over a computer, she’s out being inspired by nature. 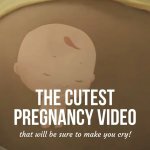 The cutest pregnancy video that will be sure to make you cry!